Apart from the necessity of traveling or transporting goods as part of work, their pristine beauty is what pulls people to these roads. They seem like paradise itself, yet they are just as deadly. Untouched by human civilization, excepting the roads and vehicles, of course, the stretches of nature at her extremes almost seem endless here. To many, the combination of these extremes and the danger is almost irresistible. 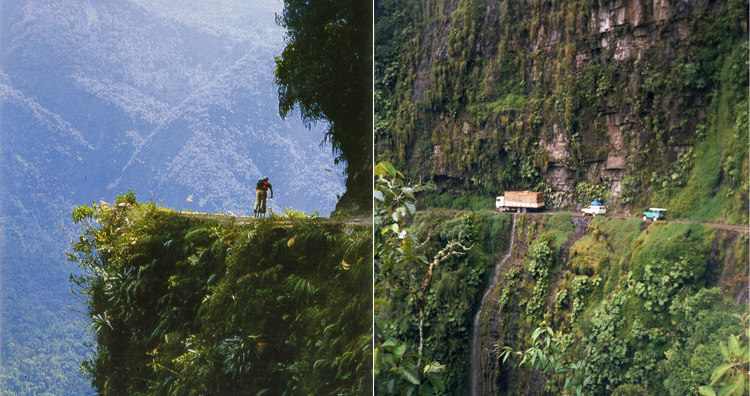 Here are some of the world’s most dangerous roads that are as beautiful as they are deadly. 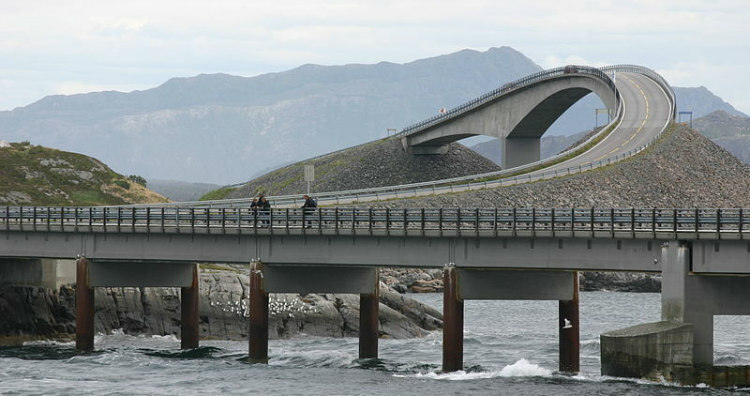 The 8.3-kilometer (5.2-mile) long road was built on several small islands in the Norwegian Sea connected by a series of eight bridges. The road endures harsh weather and is subject to regular European windstorms and hurricanes. Also known as the “Atlantic Road” or the “Atlanterhavsveien,” the Atlantic Ocean Road was originally proposed as a railway line. Its construction began in 1983 and it faced 12 European windstorms before being opened to the public on July 7, 1989. The road connects the villages of Kårvåg on Averøy and Vevang in Eida via several small islands and skerries connected by causeways, viaducts, as well as eight bridges, the most famous of them being the Storseisundet Bridge. The road starts 200 meters below sea level and after a long stretch of serpentine road reaches 1,300 meters above sea level on the mountain of Tianmen. 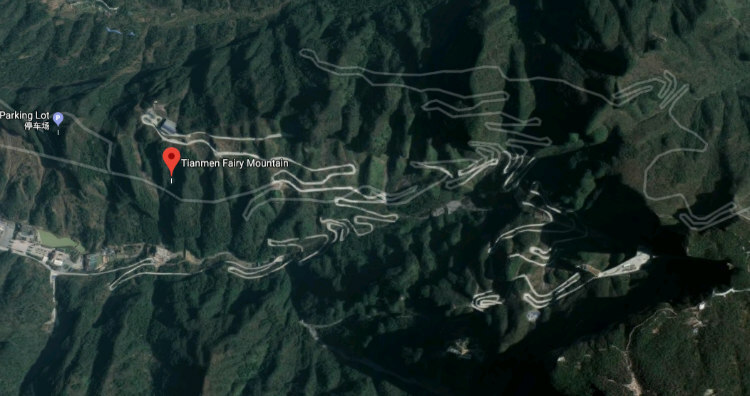 It has a total of 99 hairpin turns, and the temperatures at the top are about 10 degrees lower than that at the bottom. The 11-kilometer (6.8-mile) road is located in Tianmen Mountain National Park, Zhangjiajie, in the northwestern Hunan Province, China. It took eight years to construct the road and was finished in 2006. The road has 99 turns, representing the nine palaces of heaven, which can be traversed on tourist buses. The turns lead up to Tianmen Cave (“Heaven’s Door”), a naturally formed hole in the mountain located at the height of 131.5 meters (431.4 feet). 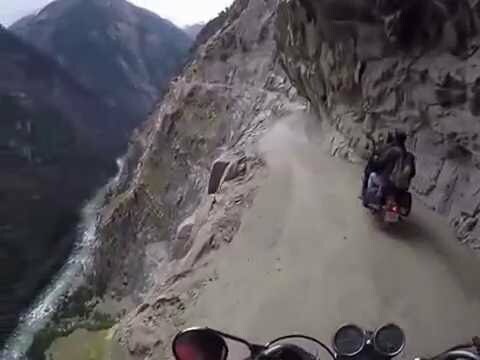 The high-altitude, 12-kilometer-long road is located in the Himalayas. It is a treacherous track carved into the mountainside with little to no protection at the edges. The Fairy Meadows Road is a jeepable trek located in Diamer District, Gilgit-Baltistan, Pakistan. It starts at Raikhot Bridge on Karakoram Highway and ends at the village Tato from where a three- to four-hour trek leads to Fairy Meadows. It was built by Brigadier M. Aslam Khan (M.C, H.J, F.K), First Commander Gilgit Scouts. The gravel road is narrow, often only wide enough for just one vehicle, and it is treacherous! 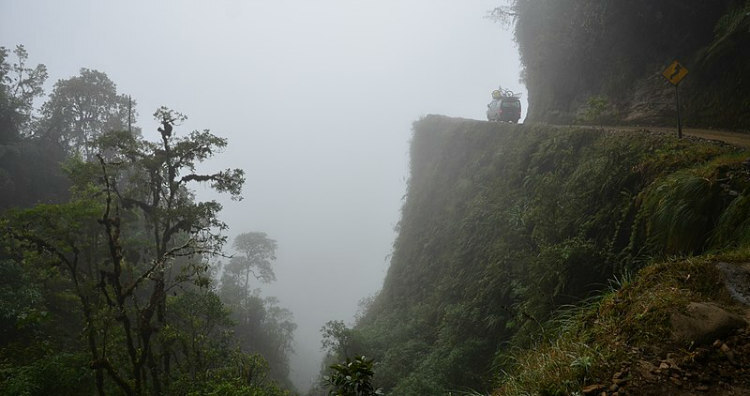 The road connects La Paz and Coroico in Yungas, Bolivia and is only wide enough to allow one vehicle at most places. It climbs 4,650 meters (15,260 feet) above sea level before descending to 1,200 meters (3,900 feet) as it reaches Coroico. The 56-kilometer (35-mile) road was first built by Paraguayan prisoners in the 1930s during the Chaco War and was since developed over a stretch of 20 years until 2006. To avoid any accidents on the mostly single-lane road, vehicles are required to drive on the left side of the road to allow the drivers a better view and the drivers coming downhill do not have the right of way. The visibility of the road is severely decreased during rainy seasons due to fog and the rainwater could make the track slippery. Spanning over a length of 479 kilometers (298 miles) in the Himalayas, the highway reaches its highest elevation at 5,328 meters (17,480 feet) at Tanglang La mountain pass. Oxygen levels are very low at these altitudes and drivers often suffer from altitude sickness. The Leh-Manali Highway connects the town of Leh in Jammu and Kashmir and the resort town of Manali in Himachal Pradesh in northern India. The road was built and is maintained by the Border Roads Organization and is open only for four and a half months during the summer when the snow clears. 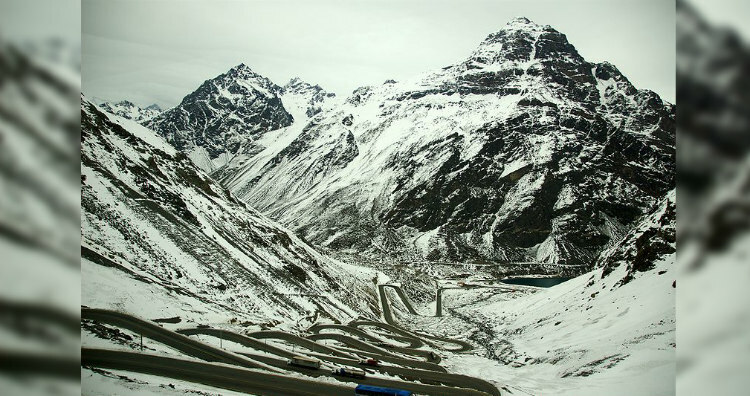 This mountain pass located in the Andes connects Argentina and Chile and has a long series of switchbacks on a steep incline that leads up to the 3-kilometer-long Tunnel of Christ the Redeemer at an elevation of 3,200 meters (10,500 feet). The road experiences rockfall and heavy snowfall during winter. The Paso Internacional Los Libertadores is the main land transport route from Santiago, the capital city of Chile, and the Argentinian city Mendoza. The Tunnel of Christ the Redeemer was opened in 1980 and was so named because of the four-ton, Christ the Redeemer of Andes statue placed in 1904 at an elevation of 3,832 meters (12,572 feet) near the Uspallata pass. 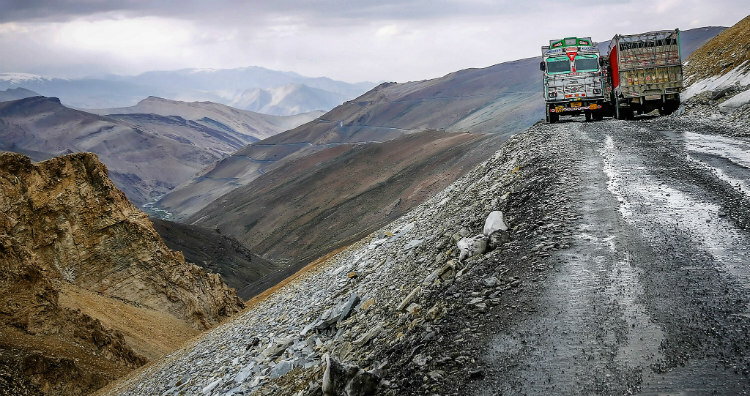 The highway is one of the highest paved roads in the world connecting China and Pakistan through the Karakoram mountain range which reaches a maximum height of 4,714 meters (15,466 feet) at Khunjerab Pass. 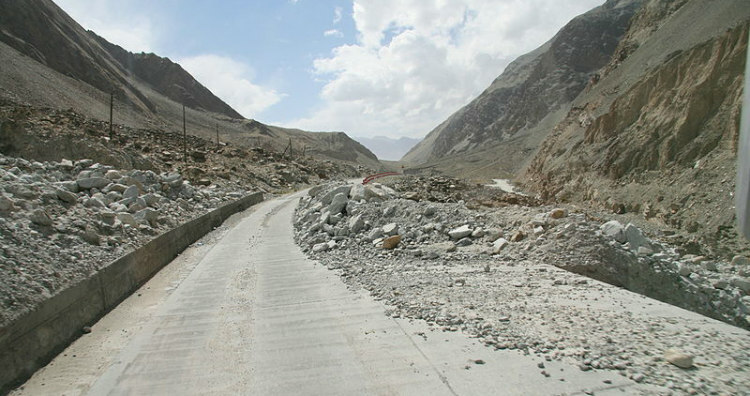 Heavy snows, monsoon rains, and landslides often shut down the road for long periods. 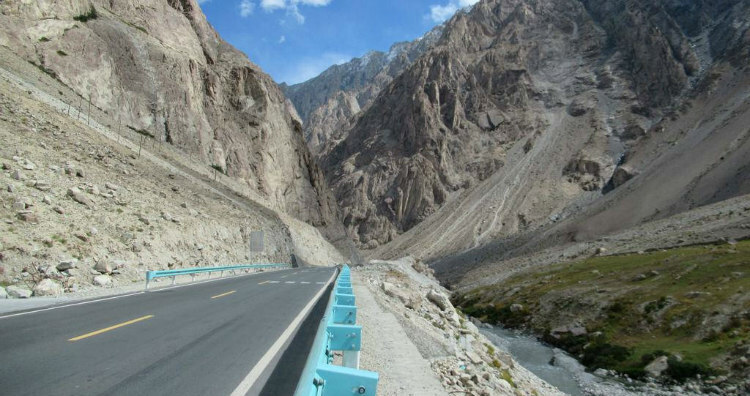 Also known as the “KKH,” the “China-Pakistan Friendship Highway,” or the “N-35,” the highway crosses the collision zone of the Eurasian and Indian plates. It is also where Pakistan, Afghanistan, Tajikistan, and China are just within 250 kilometers (160 miles) of each other, making it strategically important. Its construction began in 1959. With great difficulty and loss of workforce due to landslides and falls, it was finished and opened in 1979. The road traces one of the routes of the Silk Road. 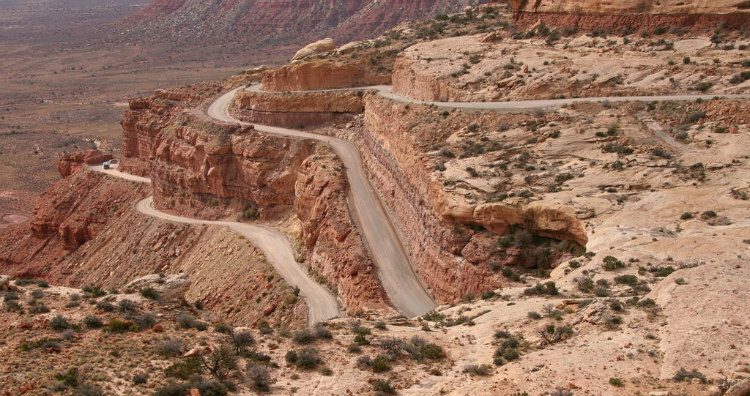 The 3-mile road is a steep, unpaved track with 11%-grade switchbacks that were carved into the face of Cedar Mesa, Utah. 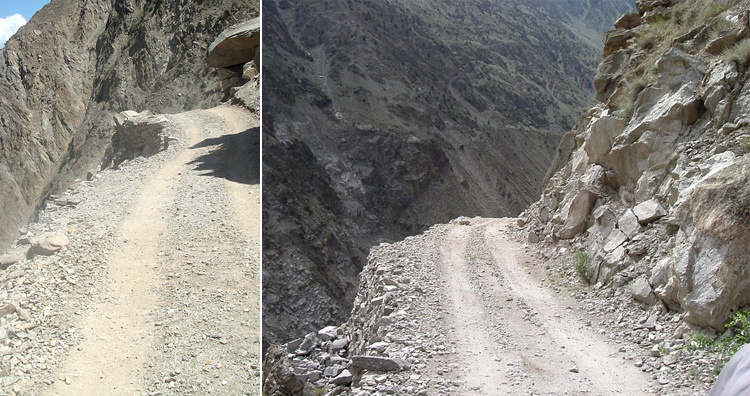 The road traverses 1,200 feet (366 meters) from the cliff top to the bottom of the Valley of Gods. At 2,757 meters (9,045 feet) above sea level, Stelvio Pass is the highest, paved mountain pass in the Eastern Alps and the second highest in the Alps. 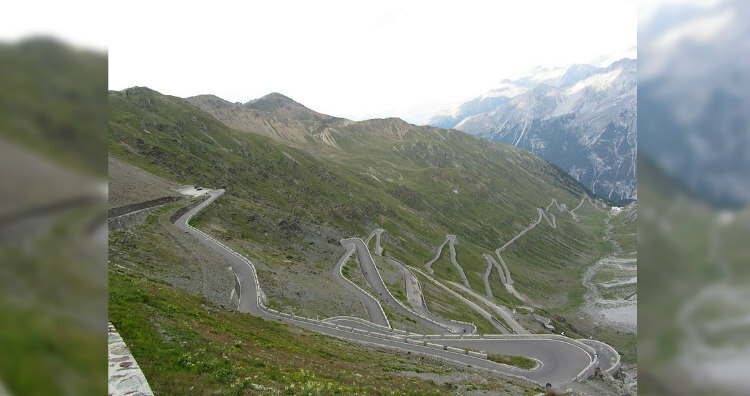 It has a total of 75 hairpin turns, 48 of which are on the northern side. Located in the Ortler Apls, Italy, the pass was originally built between 1820 and 1825 by the Austrian Empire to connect Lombardy, formerly an Austrian province, with the rest of Austria. The road is around 200 meters from the Swiss border and around 75 kilometers from Bolzano the capital city of South Tyrol in northern Italy. 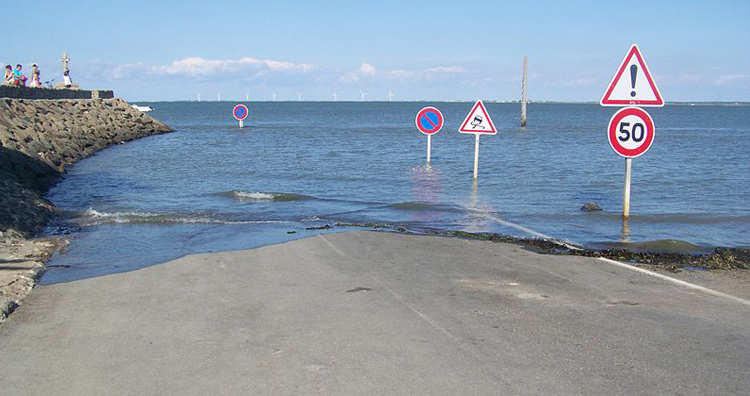 A natural passage between Beauvoir-sur-Mer and the island of Noirmoutier in France, the 4.125-kilometer long road is flooded twice a day during the high tide making the road dangerous to take. Also known as “Gôa,” the Passage du Gois is an uneven stone paved causeway that was first used in the 16th century. It is located over the waters of Baie de Bourgneuf or Bay of Bourgneuf, which is part of the Bay of Biscay in the northeast Atlantic Ocean. The passage was built as the Bay of Bourgneuf began silting up during the Middle Ages.